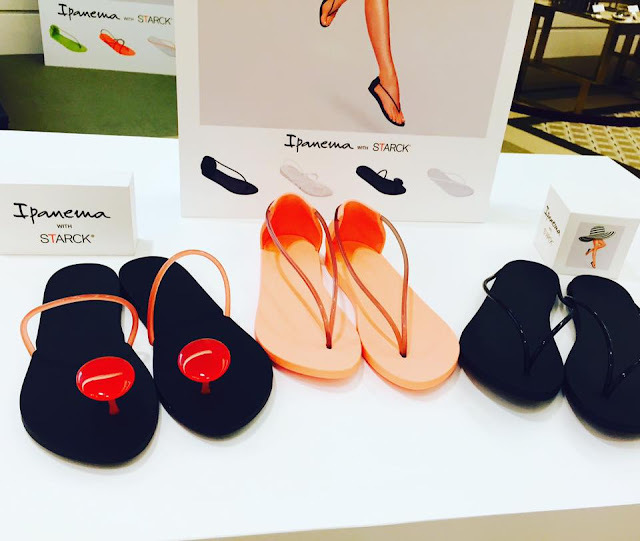 Ipanema with Starck features a new collection of footwear designed by world-renowned creator extra-ordinaire Philippe Starck. His minimalist designed footwear for Ipanema screams elegance and organic at the same time. The Ipanema with Starck collection feature flats, flip flops, and sandals in four designs in monochromatic colors. Inspired by various lifestyle possibilities that imbibes the different mood of the modern woman, the collection is a mixture of artsy, glamour, minimalist, and sophisticated vibe. "The Ipanema with STARCK collection explores the territory of high elegance paired with the utmost minimalism. When you reach elegance with a few dollars or euros, this is no magic; it is a modern miracle," says Philippe Starck. And because Philippe Starck is known for his amazing creations, the latest collection was developed with 30% recycled materials and is 100% recyclable. The latest Ipanema footwear collection offers a unique style design statement that begins with the variety of strap designs, paired with the neutral and citrus tones of the footwear. The different designs of the Ipanema with Starck are what would one call elegant classic with a modern twist. Of course, comfortability also comes to mind when these footwears was created. Almost everyone loves to shop, and the joys of online shopping where you don't have to brave the traffic and the crowd. And luckily, these online shops gives great discounts on your shopping purchases too. With crazy discounts, you can purchase when shopping at ZALORA that offers free delivery for orders above 995. "We are truly privileged to team up with the world-renowned creator and creative genius Philippe Starck in his new collaboration," says Cecille Loretizo, ELRO Retail Corporation Marketing Head. "This partnership will certainly bring timeless, accessible yet elegant line up of footwear for the modern, sophisticated women in the country and across the globe."